Are you dipping your bread in quality extra virgin olive oil or is it something else? 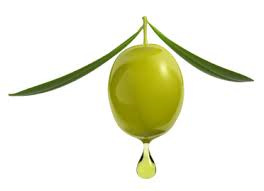 UC Davis Report shows some interesting information with the quality of olive oils sold to restaurants and food service. 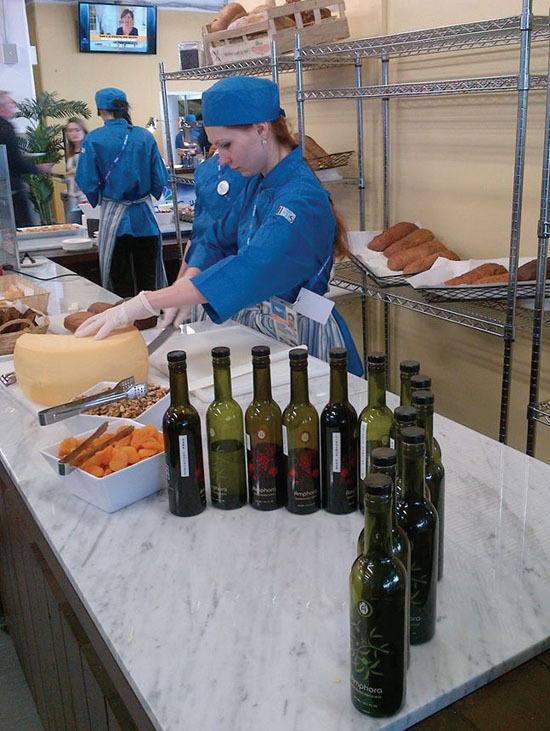 Capizzano Olive Oils & Vinegar – the Olive Oils and Balsamic Vinegars of the Rio Olympic Games Supplied by The Bradley’s – Veronica Foods are one and the same at our stores! 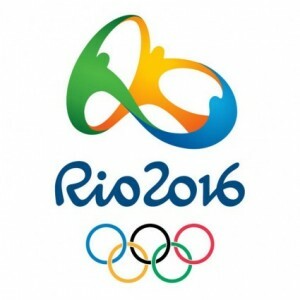 The Oil of Champions – Veronica Foods Products Selected for Rio Olympic Games – Again! For the second consecutive Olympic Games, we are proud to announce that our our olive oils and vinegar were selected by the official US Caterer to nourish the US Olympic pavilions in Rio serving our athletes and international press. Our products are being incorporated into thousands of daily meals in several different locations. “The olive oils and balsamic vinegar that the Bradleys procure and create will be perfectly paired with the fresh and organic ingredients Crisafulli’s team purchases locally to make healthy meals for the athletes”. This year Crisafulli bought extra virgin oils: Italian Favalosa, Spanish Arbequina, Chilean Picual, Australian Picholine, Australian Coratina, Chilean Koroneki, Chilean Coratina. He also bought infused and fused oils: Wild Rosemary, Tuscan Herb, Eureka Lemon, Baklouti Green Chili, Basil, Wild Dill, Herbs De Provence, Persian Lime, Mushroom and Sage, Chipotle, Cilantro and Onion, Harissa, California Walnut Oil, Italian Truffle Oil. The balsamic vinegar he bought include: Neapolitan Herb, Blackberry Ginger, Fig, Traditional, Mango, Jalapeno, Peach, Sicilian Lemon. 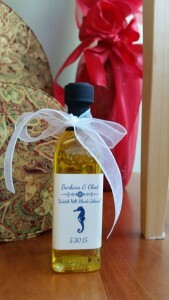 Simply Healthy and Elegant Wedding Favors. A small oval “Keepsake” box holds a single bottle. Your Guests will taste the difference with our exceptional Ultra-Premium extra virgin olive oils and aged balsamic vinegars. Custom Labels Printed – stop by our store for details and prices! 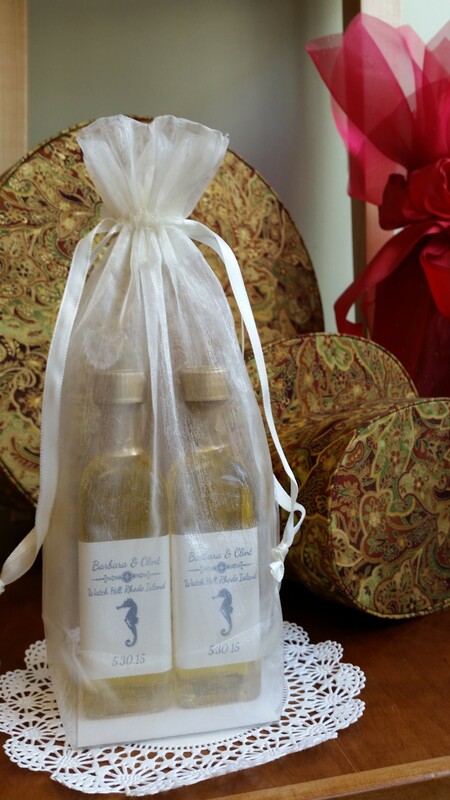 Choose your favorite extra virgin olive oil and aged balsamic vinegar! 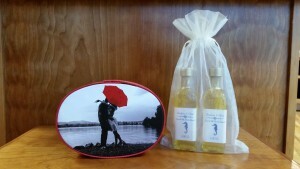 A perfect wedding favor for your invited honored guests. Preheat oven to 400 °F. Baking sheet lightly coat with olive oil to prevent sticking. Place mushroom caps, gill-side up, on the prepared pan. Drizzle each mushroom with about a TB of a Robust Extra Virgin Olive Oil sprinkle with salt and a bit of fresh ground pepper. Roast until tender – 20 minutes. Meanwhile, mix ricotta, spinach, ¼ cup Parmesan, olives, Italian seasoning and the remaining ⅛ teaspoon pepper in a medium bowl. Place marinara sauce in a small bowl, cover and microwave on High until hot, 30 seconds to 1½ minutes. When the mushrooms are tender, carefully pour out any liquid accumulated in the caps. Return the caps to the pan gill-side up. 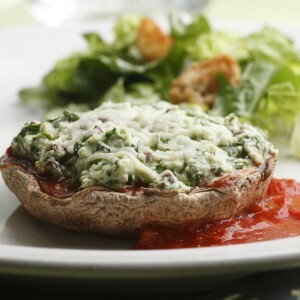 Spread 1 tablespoon sauce into each cap; cover the remaining sauce to keep warm. Mound a good scoop of ricotta filling into each cap and sprinkle with Parmesan cheese. Bake until hot, about 10 minutes. Serve with a drizzle of your UP Extra Virgin Olive Oil and or a spoonful of the Pomodoro e Basilico sauce. Serve with micro greens and fresh tomatoes, sea salt and a drizzle of our Traditional 18 Year Aged Balsamic.